In December the Staatsoper Berlin celebrates its 275th anniversary back Unter den Linden! 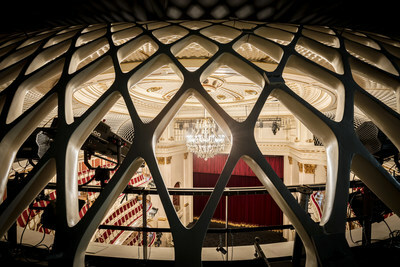 After seven years of extensive restorations, the recently re-opened opera house now uniquely combines innovative stage technology and a highly improved acoustic with its historical ambience. Tickets for the 2017/18 season are available at http://www.staatsoper-berlin.de, by phone +49(0)30-20-35-45-55 or e-mail tickets@staatsoper-berlin.de. On 7th December, the very day when the Staatsoper Unter den Linden opened 275 years ago, a special concert programme is performed by the Staatskapelle Berlin and General Music Director Daniel Barenboim. It features works by Mendelssohn, Boulez and Strauss - three composers who worked at the Staatsoper as conductors themselves. On the 8th and 9th December two new productions will premiere: Humperdinck's HÄNSEL UND GRETEL (Achim Freyer / Sebastian Weigle) and Monteverdi's L'INCORONAZIONE DI POPPEA (Eva-Maria Höckmayr / Diego Fasolis). Further season highlights include premieres of Wagner's TRISTAN UND ISOLDE (Dmitri Tcherniakov / Daniel Barenboim), Strauss' SALOME (Hans Neuenfels / Zubin Mehta) as well as Verdi's FALSTAFF (Mario Martone) and MACBETH (Harry Kupfer) - both conducted by Daniel Barenboim and the latter featuring Anna Netrebko and Plácido Domingo. An evening at the former »Königliche Hofoper (Royal Court Opera)« not only promises an artistic experience of highest quality - over more it offers the opportunity to visit one of the world's most beautiful opera houses. Constructed by command of King Frederick II it was the largest opera house in Europe at that time. 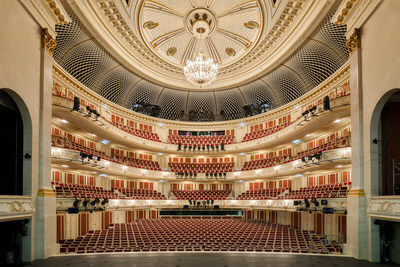 275 years later the Staatsoper looks back on a rich history and moving back into its traditional domicile Unter den Linden marks a new chapter - also reviving Berlin's historical centre.